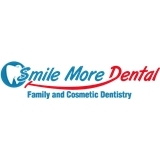 Smile More Dental (Aurora) - Book Appointment Online! Welcome to Smile More Dental. Our goal is to make dentistry easy and affordable. We hope you stop by our office and give us a chance to help you Smile More. It’s easier than you think! We have built a state of the art office that employs some of the latest technologies. Our office records are all stored digitally, including xrays! Treatment plans and consultation information are presented chair side and displayed on a beautiful flat panel screen. Let us change your mind about going to the dentist.